Cleve Rueckert graduated from the University of Vermont in 2006 with a BA in Economics and minors in Philosophy and History. He began working at Birinyi Associates in May of 2005 prior to graduating. In addition to managing Ticker Sense, Mr. Rueckert is also a senior equity strategist at Birinyi with a focus on large cap US equities. He also manages the operations and development of Birinyi's subscription based services for individuals and institutions alike. 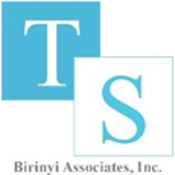 Birinyi research and commentary is regularly featured by the New York Times, Wall Street Journal, Barron's, Bloomberg, Forbes, Fortune, Reuters, and CNBC. Apple After Steve Jobs: What Side Are You On? S&P at Top of Range: Is the Third Time a Charm? Dow Jones Back in the Black: Will It Keep Going? S&P 500 PE Ratio: Are Stocks on Sale?